My daughter has always been obsessed with pink, but lately she has been broadening her color horizons and is branching out with more fun colors. She no longer wanted her “fancy Parisian” themed bedroom. She wanted colorful. She wanted to simplify. So we’ve been working on that. Change can be hard for a Mama when it involves her only child growing up. But anything I can do to make a moody tween happy is worth it. 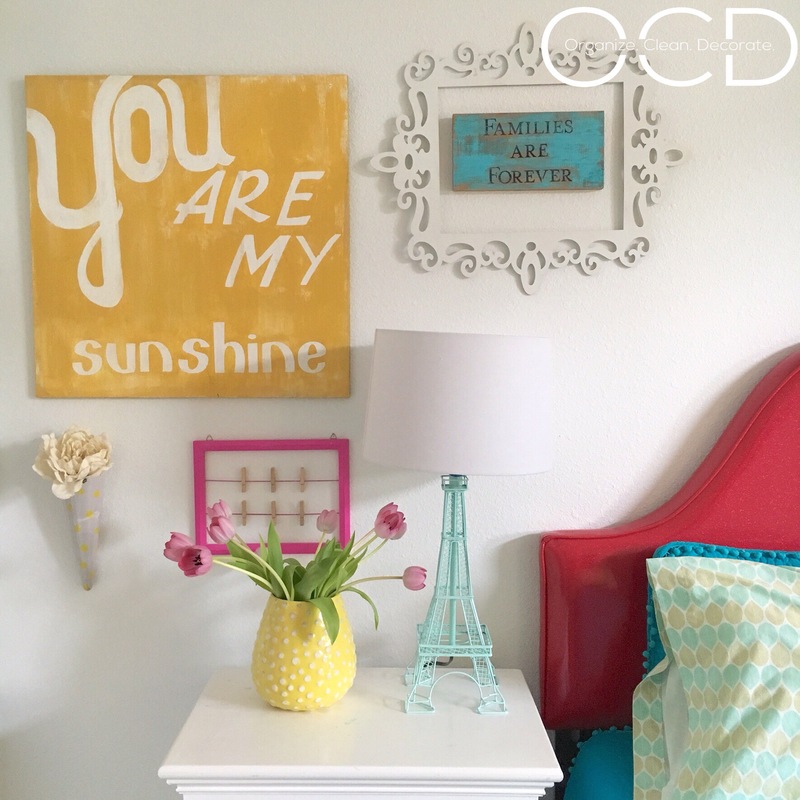 Great pops of color in your daughter’s room. It is hard when they grow up, isn’t it? Sigh. Mine went off to college this year! Ugh! I don’t even want to think about it! lol! That must be so hard!